Learning how to clean guitar strings and your fretboard is important for any guitar player. 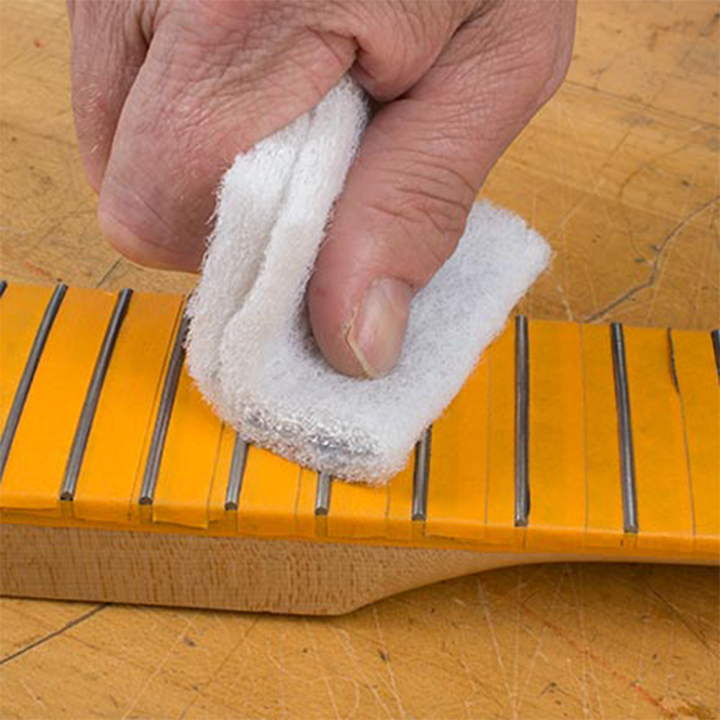 You may simply use household items like lemon oil and a damp wash cloth to clean your fretboard. In order to clean the strings, you can simply use a towel or a cleaning kit. It's important to clean the guitar so that it stays playable for years to come. It's not always necessary to clean your strings, since most guitar players switch them out at least once per month. 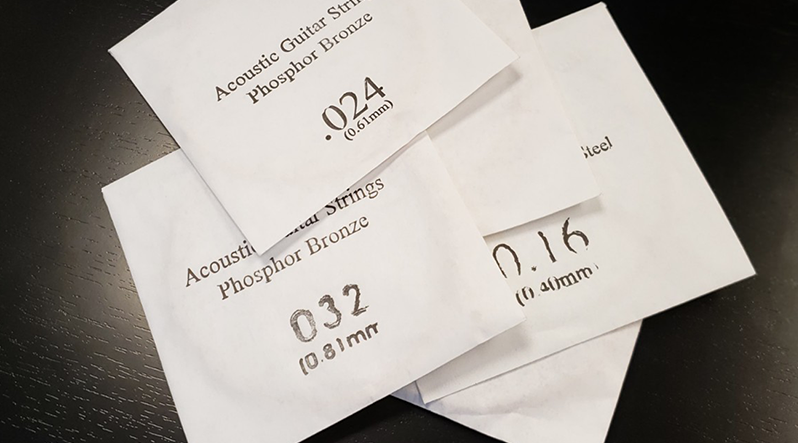 Strings will also lose a bit of their tonal quality after a being played for a month or so but if you want to keep the feel of the strings fresh for a longer period of time, it's not a bad idea to clean the strings. 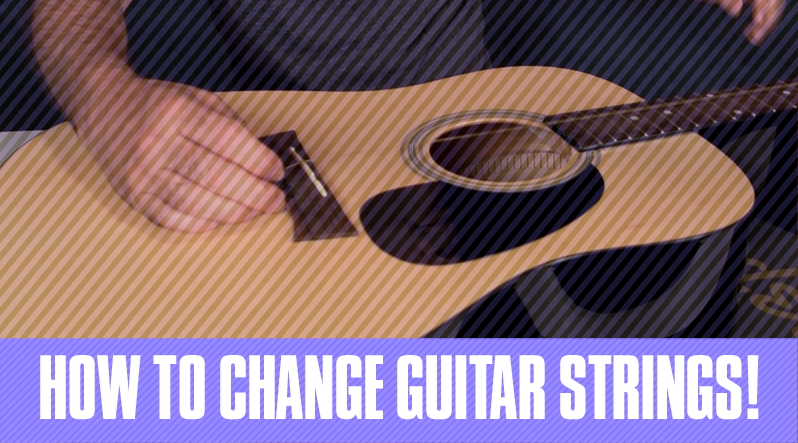 If you don’t want to switch out your strings just yet, it’s always a good idea to give them a cleaning. You may simply use a cloth to get all the dead skin and gunk from the strings but if you want to clean them more thoroughly, you will have to use a cleaning solution. Rubbing alcohol, if it gets on the guitar’s neck, can end up sucking out some of the moisture from the guitar's wood. A guitar that is overly dry can become damaged overtime. You don’t want this. If you’re trying to get the grime off of the strings, you can use cleaners made specifically for guitar strings. We recommend Stringjoy’s Natural Guitar String Conditioner. Next up is the fretboard. It's much more important to clean the fretboard because it can easily get really gross or worn down from years and years of playing. This can actually hurt the wood and the playability of the instrument. Of course, you only have to clean the guitar once every few months, depending on your use-case, which makes this a fairly easy maitenence job. 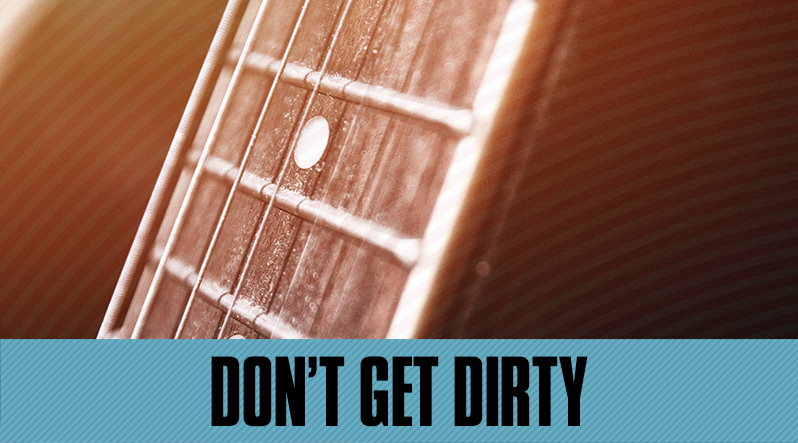 Since guitar players spend the majority of the time with their fingers on the fretboard, it’s safe to say that the frets are often the most dirty part of a guitar. Your guitar could have tons of dirt and gunk built up around the frets and they may be difficult to take off. Good thing there are fretboard cleaners out there. This should be obvious, but before you attempt cleaning the fingerboard, remove the strings. 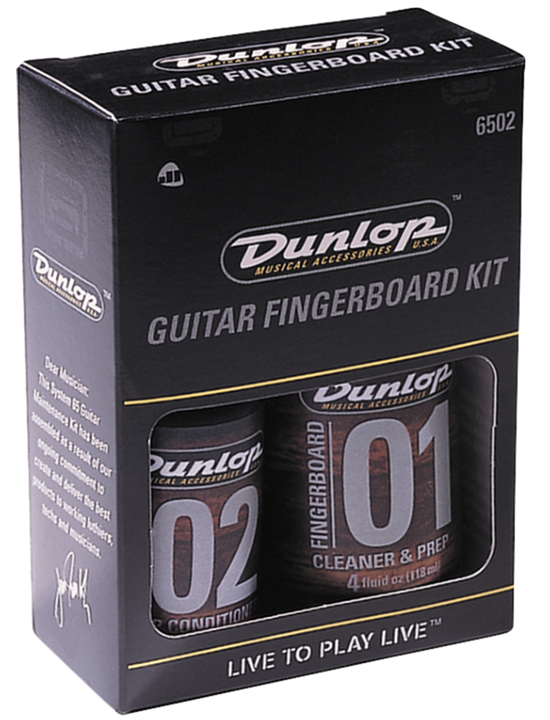 You may simply use lemon oil to remove some of the build-up from the fretboard, or you can go for the tried-and-true Guitar Fingerboard Conditioning Kit from Dunlop. The kit comes with the cleaning solution and a polishing cloth, as well as a conditioner oil for the final touches. 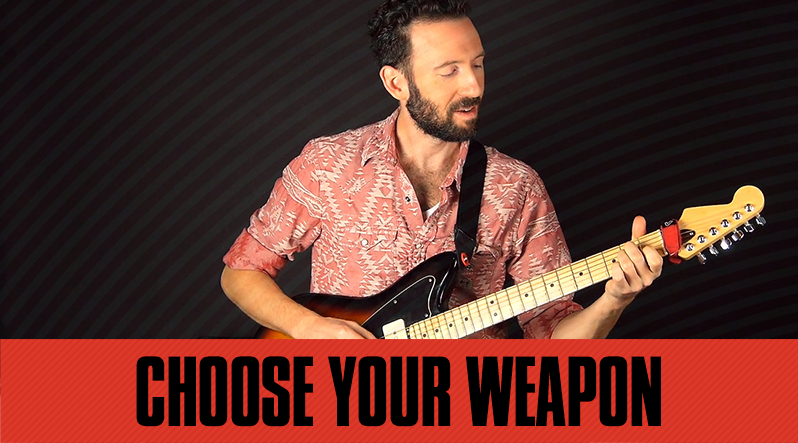 If your guitar is super old, you may want to very gently rub the fretboard with steel wool. You must use very fine steel wool so that you don’t scratch the wood. Using an ultra fine 0000 steel wool is especially great on maple fretboards that have not been given a finishing coat. If the maple fretboard has a finish, it’s safe to simply use a cloth and maybe some water so you don’t damage the finish.